The unforgettable and most powerful volcanic eruption of the 20th century transformed Mt. 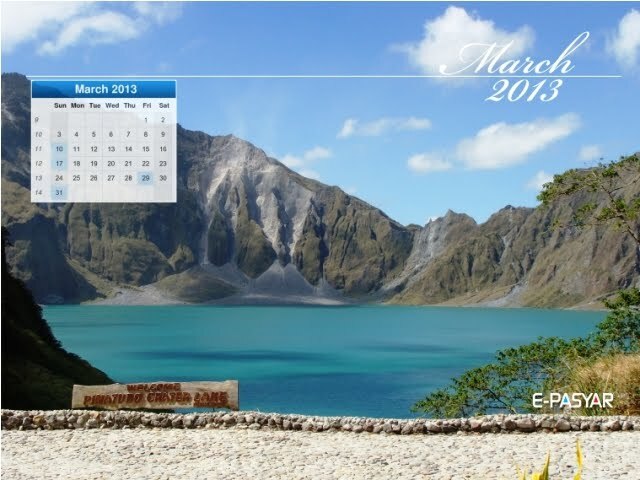 Pinatubo into a one of the country’s most beautiful travel destinations. From Manila, take the North Luzon Expressway. Exit Dau toll gate for you to take your rented vehicle (meeting place is usually at the Clark main gate), otherwise straight to Sta. Ines toll gate. From there, take the MacArthur Hwy to Mabalacat enroute to Bamban and Capas in Tarlac towards north. When you reach the marketplace in Capas, take a left turn to Brgy. Sto. Rosario and negotiate the 22-km. countryside road passing along barangays Aranguren, O' Donnell, Sta. Lucia, Patling and finally, the last frontier which is Brgy. Sta. Juliana - the gateway to the crater of Mt. Pinatubo. Travel time from Clark to Sta. Juliana takes about an hour and a half. From there, you'll drive along O' Donnell river for an hour and then trek on foot for two hours up to the crater (and back the same way). namiss ko agad yung Mt. pinatubo kahit last month lang ako pumunta dyan. Pasyar (pasiar) is an Ilocano word meaning to stroll, to walk leisurely as inclination directs; ramble; saunter; take a walk. Don't miss a single post! Subscribe and get future posts right in your mailbox. Photos are owned by the owner of this blog unless otherwise stated. Simple theme. Powered by Blogger.